What Passes For Venezuela’s Supreme Court!! Fausta’s Blog: The Venezuelan Supreme Court, for blocking three elected members of the National Assembly from taking office tomorrow. Well, there it is. What despicable Weasels… ANY OF THEM COULD WIN! 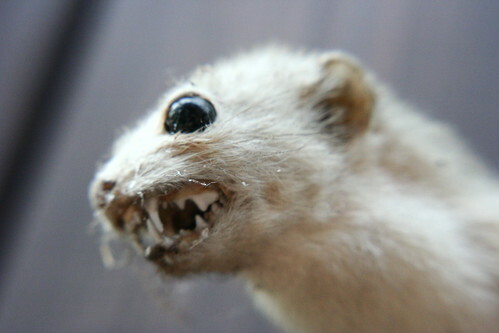 Check back Thursday to see which Weasel walks off with the statuette of shame! And remember, every Wednesday, the Council has its weekly contest with the members nominating two posts each, one written by themselves and one written by someone from outside the group for consideration by the whole Council. The votes are cast by the Council and the results are posted onFriday morning. During the presidential campaign of 2016, the far left of the Democratic Party and their acolytes in the mainstream news media have lambasted the pernicious influence of the “billionaires” on a regular basis. Senator Bernie Sanders (I-VT) has identified the politics of conservatives with that of the “billionaire class.” Sanders says on his senatorial website: “Our great nation can no longer be hijacked by right-wing billionaires like the Koch brothers.” Echoing Sanders, The New York Times ran an article on October 10th, which asserted, “…the families investing the most in presidential politics overwhelmingly lean right.” This false assertion is made frequently. The top donors to political campaigns do not “overwhelmingly lean right.” In fact, many lean liberal-left or libertarian. In fact, our analysis shows that many politically active billionaires provided money and support for a variety of causes that would be anathema to authentic conservatives and grassroots Republicans. A number of the most powerful billionaires provided verbal and financial support for anti-Second Amendment causes; the promotion of abortion; increased trade with communist China and other adversaries of the United States; a lax national defense; increased taxes and unnecessary regulations; promotion of open borders through amnesty and the liberalization of the caps on H-1B visas (which also impairs our national security); and funds to liberal Democrats. A March 25th Washington Post article by Matea Gold and Tom Hamburger was titled, “In 2016 campaign, the lament of the not quite rich enough.” In that article, there was nary a peep on how the prospective Democratic candidate Hillary Clinton was courting super-wealthy individuals, and how left-wing billionaires are involved in politics. Cliff Kincaid’s article, “Bernie’s Billionaires,” notes that billionaires on the left include George Soros, the hedge fund operator whose net worth rose from about $9 billion before President Obama took office to over $24 billion today; environmentalist Tom Steyer; gay activist Tim Gill; and anti-Second Amendment advocate Michael Bloomberg. This report examines several others, such as Bill Gates, Warren Buffett and Larry Ellison. On many occasions, the mainstream media distort the issue by misidentifying the political ideology of the Koch brothers. The Koch brothers may be “right-wing,” but that doesn’t necessarily make them conservative. A September 21 Washington Post article by Amber Philips described the Koch Brothers as “libertarian leaning conservatives.” She got it partly right. The Koch brothers are libertarians, whose ideological positions depart from conservatives who place priority on traditional values and a superior national defense. While conservatives and libertarians value free enterprise, the latter believe in open borders and unfettered free trade, without any practical consideration for national security, and socially liberal causes such as abortion and gay rights. Koch Industries and its subsidiaries engage in economic cooperation with Red China and Vladimir Putin’s Russia, support abortion rights, gay marriage, amnesty for illegal aliens, and even engaged in eminent domain disputes against private property holders. 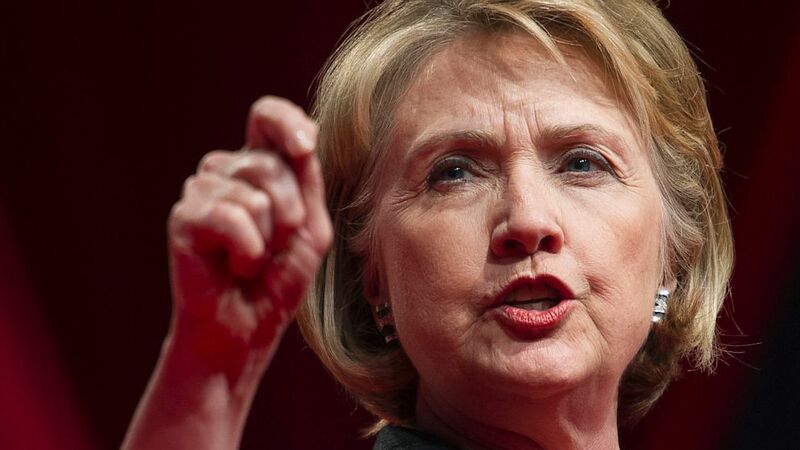 Their support for so-called “criminal justice reform” is backed by the Obama administration and George Soros. There are some billionaires associated with right-wing causes. But the record is mixed. Billionaire hedge fund operator and GOP donor Paul Singer supports a strong Israel, while promoting homosexual marriage. Billionaire Sheldon Adelson, a major GOP donor who runs the Las Vegas Sands, America’s largest casino company, promotes U.S. support for Israeli interests but endorses amnesty for illegal aliens. Of course, one can’t mention the political influence of billionaires without noting the views of billionaire Republican presidential candidate Donald Trump, who, in the past, has funded the campaigns of both Democrats and Republicans. In the current campaign, Trump opposes President Obama’s Iran nuclear deal, supports a strong Israel, opposes Muslim immigration and wants Mexico to build a wall to keep their citizens from illegally entering the United States. He criticizes China’s trade practices but has a history of trying to invest in the old Soviet Union and Russia. The October 19, 2015, Forbes Magazine lists the top 20 billionaires who are actively involved in supporting political campaigns. Microsoft founder and former CEO Bill Gates, often described as the world’s richest man, is one of the most prominent. Though a successful capitalist, Gates has expressed admiration for Communist China, funded pro-abortion and anti-Second Amendment causes, and supported more Democrats than Republicans in recent election cycles. One of his favorite causes is the United Nations, through which he finances development of an HIV/AIDS vaccine. He also supports a global tax to generate revenue for the U.N.
Strangely, Gates contemptuously dismissed any role of the free market in playing a role in developing U.S. energy policy. He noted that “Yes, the government will be somewhat inept…But the private sector is in general inept. How many companies do venture capitalists invest in that go poorly? By far most of them.” Instead, Gates prescribed a massive swathe of government regulations to ostensibly protect the environment. During the recent visit of Chinese Communist ruler Xi Jinping to the United States, he made a point of having a luxurious dinner at Bill Gates’ opulent residence in Washington State. Gates praised the state-dominated Chinese economy as “a brand-new form of capitalism, and as a consumer it’s the best thing that ever happened.” Gates commended the tightly controlled and oppressed Chinese working class for its “willingness to work hard and not having quite the same medical overhead or legal overhead.” Clearly, Gates implicitly appreciates the fact that the cowed Chinese workforce is not protected from the very real abuses of the Communist Party, of foreign multinationals resident in the People’s Republic, and crony capitalists tied in with the Party. Gates also aggressively made use of the government’s H-1B visa program to hire foreigners that could be compensated less than Americans who invested their own time and money to work in IT fields. Out of a workforce totaling 125,000, Microsoft laid off 18,000 of its employees. This occurred scarcely after Gates called for the lifting of all caps on H-1B visa holders, thus further inflating the U.S. labor market to the detriment of job-hungry Americans. Such labor practices open the door to potential high technology thefts, lost purchasing power of thousands of Americans, and lost tax revenues for state, local, and the federal government. The Gates Foundation subsidized Planned Parenthood of America, the International Planned Parenthood Federation, and Planned Parenthood of Western Washington to the tune of $71 million from 2009 to 2013. Gates himselfadmitted that he grew up in a family environment that was friendly to abortion and told Bill Moyers that his father was the head of the local Planned Parenthood. Perhaps it should be no great surprise that Gates and his foundation dumped more money into the political campaigns of Democrats than Republicans in the elections of 2014. They included such hard-core leftists as Congressman Jim McDermott (D-WA) and Senator Patty Murray (D-WA). Another politically active billionaire who clearly advances the agenda of a myriad of liberal causes is Warren Buffett. Although a great source of wisdom for ordinary investors, the super-wealthy investor guru supported measures which would clearly impair investment and opportunity in the American economy. Buffett and his family foundations supported other causes associated with the far left. The Susan Thompson Buffett Foundation provided $600 million to organizations promoting abortion. Funds were also provided by Buffett himself and his firm Berkshire Hathaway. The director of the foundation’s domestic programs, Judith DeSarno, remarked that Buffett’s motivation to support abortion-related causes was economic: “For Warren, it’s economic…He thinks that unless women can control their fertility—and that it’s basically their right to control their fertility—that you are sort of wasting more than half of the brainpower in the United States.” Buffett also supports amnesty for illegal aliens. He noted that “people should be able to earn citizenship that are here…I do not think we should deport millions and millions of people…so I think we should have a real path to citizenship.” Buffett also provided support for gun control advocacy organizations. For example, he served on the board of Everytown for Gun Safety. Perhaps it is no surprise that Buffett provided massive funds for liberal Democratic candidates. In 2015, Buffett and his associated interests funneled over $58,000 to the DNC, Hillary Clinton, and Senator Ron Wyden (D-OR). Buffett was also an early donor to the Obama campaign. In 2007, Buffet donated almost $7,000 to Obama’s war chest. Other estimates spoke of donations of $13,800 to the Obama campaign. Buffett and his allied interests donated funds to the campaign of Hillary Clinton. Buffett also donated $30,800 to the Democratic National Committee in 2011 and another $30,000 in 2012. It is no surprise that Fortune Magazine ranked Buffett as the seventh largest contributor to political campaigns. Buffett the Billionaire himself had words of admiration for the socialist Bernie Sanders, saying in an interview with Reuters that “I think we all have lessons to learn from him (Sanders).” In the end, Buffett stuck by his supportfor Hillary Clinton. Billionaires such as Larry Ellison of Oracle and the Waltons of Walmart fame are examples of billionaires who personally, or through their corporations, support various left-wing causes and candidates and communist regimes. Walmart was a well-known promoter of engagement with the communist countries of Vietnam and China, and a board member of the US-Cuba Trade Council. The US-Cuba Trade Council was a big-business lobbying group which sought the elimination of the American embargo on Communist Cuba. The reality is that high technology and capitalist investment are all part of the Communist Chinese strategy of modernizing communism in China and other like-minded nations by using the wealth generated by capitalism. While prosecuting Chinese espionage agents, U.S. Attorney Melinda Haagremarked that “As today’s case demonstrates, sensitive technology developed by US companies in Silicon Valley and throughout California continues to be vulnerable to coordinated and complex efforts sponsored by foreign governments to steal that technology.” Hence, the issuance of H-1B visas facilitates technology transfers and leaks to China, Russia, and Venezuela (which in turn would pass technologies to their anti-American sponsors). Oracle has bankrolled Republicans, along with some of the most left-wing Democrats one can find. Despite the ranting of Sanders or the misreporting by various mainstream media outlets, the evidence shows that many billionaires are not ideological conservatives or right-wingers. The “billionaire class” is mostly on the side of Bernie Sanders, Hillary Clinton, and the causes embraced by the Democratic Party. “Emergency board up services were called to protect businesses in Downtown Oakland” November 2014 via siliconvalleydebug.org QUESTION: Were “Emergency board up services” needed in Burns, Oregon? In the wake of the irrational media response to patriots occupying an empty building in the woods in Oregon, this author thought readers may like to be reminded of what domestic terror actually looks like. See list of the Ferguson businesses destroyed during the riots, as well as links to their fund raising pages if they can be found, as reported at the Saint Louis Post Dispatch, Yahoo News, the New York Post, Breitbart, the Wall Street Journal, and other sources. Some businesses had windows smashed in, and others were burned to the ground. Some have had more publicity and support than others, but they have all suffered. The Dellwood Conoco, for example, was burned to the ground and has received $385 dollars on their fundraising page at the time of this writing. Natalie Dubose, who had a window smashed out but received media attention, has received $257,000 at the time of this writing. Aside from businesses, cars were burned and there were multiple reports of shots being fired. Some of the incidents are mapped here, and also documented at Broadside News. WeazelZippers posted still other businesses not listed here. Some businesses were doubly victimized after cleaning up after the August riots. Shameful. 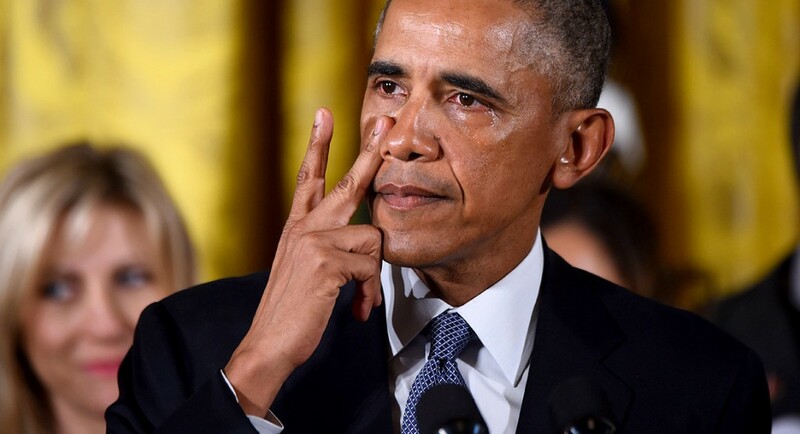 Obama wiped away more fake tears as he announced further gun control measures today. He is absolutely sidestepping Congress and this is a clear Constitutional overreach. This comes at a time that terrorism is growing exponentially here in the US due to Obama’s open border’s policy and his refugee resettlement program. On Monday, Obama vowed to proceed with new executive actions on gun control after huddling with top law enforcement officials. He claims he has the “legal authority” to act. The president spoke after meeting with Attorney General Loretta Lynch, FBI Director James Comey and other top officials to review their proposals and finalize his plans. Obama also said their recommendations are “well within my legal authority” and would be supported by “the overwhelming majority of the American people, including gun owners.” Uh no… they won’t and he knows that is a lie. “The recommendations that are being made by my team here are ones that are entirely consistent with the Second Amendment,” Obama said, claiming they could “potentially save lives.” What they will do is cost lives as he strips even more Americans their best means to protect themselves and their families. The details on Obama’s new gun control executive order started leaking last night. Barack Obama claims his actions are to “reduce gun violence and make our communities safer.” Right. The statement went on to say: “Gun violence has taken a heartbreaking toll on too many communities across the country. Over the past decade in America, more than 100,000 people have been killed as a result of gun violence—and millions more have been the victim of assaults, robberies, and other crimes involving a gun. The President and Vice President are committed to using every tool at the Administration’s disposal to reduce gun violence,” the statement added. Mark Levin has come out and slammed Obama’s executive order as sheer intimidation. The White House is broadening the definition of what a gun seller is in an attempt to bully collectors and hobbyists who sell firearms privately. Obama is going after not just gun show dealers… he’s going after individuals who are privately selling guns. Levin is also saying that this is a new broader definition, which will include factors such as how quickly collectors and hobbyists sell guns they acquire, whether they sell guns for more than they paid for them and how often and in what quantity they sell firearms. Bureaucrats and politicians will decide whether the law is being violated as they deal with people individually. That isn’t law or justice, that is blatant tyranny. Levin calls this proposal shameful and says they are pushing this without any statutory basis whatsoever. Some of the proposals from Obama include overhauling the background check system in gun sales and investing $500 in mental health care. 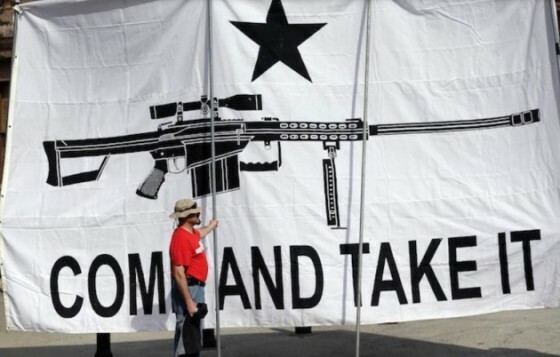 200 new ATF agents will be hired to enforce gun laws. President Obama is also directing the Departments of Defense, the Department of Justice and Homeland Security to conduct or sponsor research into gun safety technology. I’m sure that has to do with trigger locks, etc. If you are a gun dealer at a gun show or on the Internet, you will have to be licensed and conduct background checks on clientele. There is no threshold on who is considered a gun dealer. 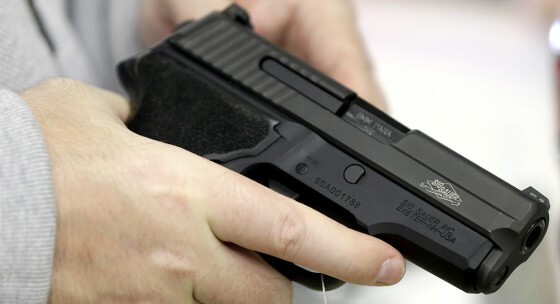 Tucked into the mental health provisions of Obama’s plan is the inclusion of “information from the Social Security Administration in the background check system about beneficiaries who are prohibited from possessing a firearm.” If an individual is deemed incapable of handling his own finances, his right to bear arms will be stripped. This means that information on beneficiaries who meet the criteria of mental impairment – demonstrated in part by an inability to manage their own benefits – will be added to the National Instant Criminal Background System (NICS) so that the beneficiaries cannot buy a gun. Also making good on its promise to deliver “common sense” gun control, the Obama administration on Monday finalized a rule that enables health care providers to report the names of mentally ill patients to an FBI firearms background check system. Gee, they’ve made doctors into snitches. Don’t people see how this could be used to lock up those that are not politically correct? Every communist regime out there has done this and is still doing this. Attorney General Loretta Lynch also warned today that the federal government would be actively searching out those firearms’ owners who want to sidestep registration. This threat refers to the part of the executive action having to do with sales made by gun stores, gun shows and online. She is actively threatening gun sellers here. This mandate is being left wide open to legal interpretation and it could easily be applied to one individual selling a gun to another. We’ll see if they take it that far, but I would not be surprised if they do. Lynch vowed the feds, through her Department of Justice and the Bureau of Alcohol, Tobacco, Firearms and Explosives, would be on the watch for violators. Mostly what Obama is doing here is lying and manipulating. He’s threatening and deceiving. All his pontificating will do one thing for certain… increase gun sales and make weapons even more popular. Obama has no intention of stopping gun crime. If he could get away with gun confiscation, he would. But he can’t and therefore he makes theater out of proposed gun control. The other thing his overreach does is ensure that either Donald Trump or Ted Cruz will become president. It’s all part of that unintended consequences thingie. Obama’s appearance today was nothing short of a hissy fit. He was royally ticked off. He brought out victims of crimes that would not been saved by any of his proposals, mentioned crimes that could not be stopped by any existing or proposed law, and vilified the nation’s oldest and largest civil rights organization the National Rifle Association… and those were the least objectionable parts of his act. Obama pointedly lied about “gun violence,” gun shows, internet sales, background checks, and so-called “smart guns,” while lashing out at hundreds of millions of American citizens and the Constitution itself for daring to stand in his way. All the water works and grandstanding in the world won’t get him his way on gun control. But he’ll say that he did more than any other president to enact it. It’s all propaganda and for his so-called legacy. Pathetic. It’s not just gun control that is ticking off America… it’s Obama’s brazen lawlessness in play. You can also be sure that Obama is not finished with regards to gun control and will keep poking this badger. I’m with Ted Cruz on this. Cruz said that President Obama thinks he can work around Congress because he’s got “a pen and a phone.” “He can abuse his power all he wants,” Cruz said in a stump speech in Iowa on Monday. “Well, if you live by the pen, you die by the pen. And my pen has got an eraser.” When Ted Cruz or Donald Trump becomes president, there will be a whole bunch of erasing going on. I can’t wait.